Unikaalne segu Merlot ja Tempranillo viinamarjast.Ilus rubiinpunane värvus.Aroomi- ja maitsebuketis on punased marjad. Pehme ja ümar struktuur.Ilus tanniin.Sobivus: punane liha, grill, juustud.Serv.17`C. The aroma is fresh, rich and fruity. Taste mild, well-balanced. Hints of lemon, apple, and that of a light petrol fragrance. Serv.temp: 8-10 ° C. Wine is mentioned in the famous Guide Hachette brochure! The aroma of flowers and fruits (apple, pear, apricot). The taste is dry, rich, beautifully mineral. Aftertaste a wonderful honey-like. Ilus helekollane värvus. Värske, elav ja lilleline vein. Aroomi- ja maitsebuketis on tunda troopilisi puuvilju ja erinevaid lilli. Maitse on elav, värske, elegantne. Fresh, lively, fruity wine with a beautiful and flowery aftertaste. Gold colour with floral nose. Experience the crisp acidity and passion fruit flavour, with good mineral structure and peppery sensation on the finish. Ilus ümar ja puuviljane vein Bordeaux`st.Aroomi- ja maitsebuketis on tunda punaseid ja musti marju.Sobivus: lihatoidud ja juustud.Serv.16-18`C. Very soft and fruity wine. The taste is elegant with soft tannins and vanilla aftertaste. This wine has a beautiful dark red color. The nose is characterized by notes of red fruits. 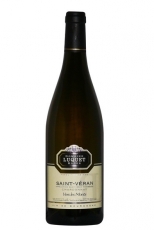 On the palate, this wine has a round and flexible structure giving a long and pleasant finish. The wine is characterized by a beautiful ruby red color. Aroma and taste bouquet of ripe red fruit. The taste is full-bodied, rich and well balanced. Fresh, lively, aromatic wine, with the hints of flowers.